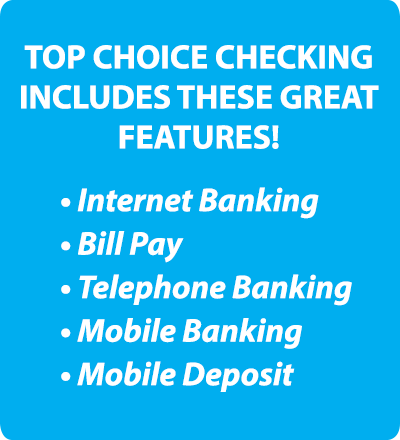 Get the Most from Your Checking Account with Top Choice Checking! On balances of $50,000 or more. *Annual Percentage Yield of 2.00% and Interest Rate of 1.98% subject to change without notice after 12/31/18. 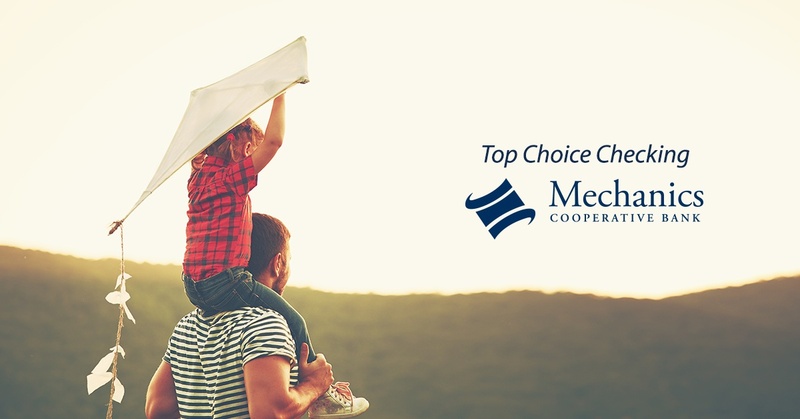 If any of the three requirements is not met within a statement period, the $25 monthly service fee will be charged, the account will earn 0.05% APY on all balances for the entire statement period. The balance requirement must be met each day within the statement period. Fees may reduce earnings.